Great news! We now offer bespoke options! Our design team are able to design The Habibat Bird Box to suit your design needs, this may be to suit non-standard brick or stone dimensions. Please note bespoke design and manufacture costs may vary. 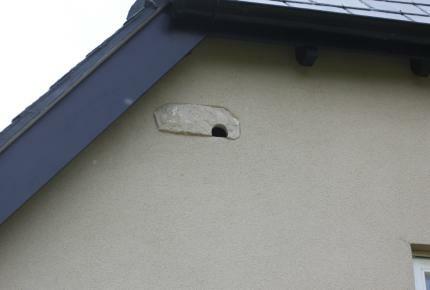 Habibat Bird Box can be supplied with a number of faced products to match the current or new development needs. Habibat Bird Box can be faced in numerous products to create a feature within the building (example Terracotta Tudor rose or bird logo). Habibat Bird Box can also personalise the box to include your name, or the name of a sponsor. Facing products include: Brick, Stone, Granite, Masonry, Slate, Terracotta, Tile and Timber.